For any business owner attempting to build up a client base, he or she will likely have a team of sales professional out making sales calls every day. While they are attempting to generate new business, it is a hindrance to not have their necessary documents on hand when they hold meetings with significant clients. Businesses are now able to give their remote or traveling employees access to critical information right at the tips of their fingers, at all times – no matter where they might be, physically. It’s remote access. Remote desktop is both a general concept and a specific program option which Microsoft began making available to consumers in the Windows edition Windows XP Professional. This software option permits the user to interface with his or her computer from practically any computer, Smartphone, or Pocket PC via the Internet. Once the user has become connected, this Remote Desktop grants the person both keyboard and mouse controls over his or her computer, showing him or her literally everything which is happening, all on the screen. Using Remote Desktop, a person is capable of letting his or her computer remain in the office, and yet still have access to any applications, files, and email. The business’ sales team is capable of interfacing with the computer to obtain the most current price list while out on the road utilizing this Remote Desktop found in Professional editions of Windows XP and later versions. Using this Remote Desktop program involves several steps. Three things will be necessary in order to effectively forge a remote location. First, Microsoft Windows XP Professional edition will have to be installed on the computer to be remotely accessed, which holds all of the programs and files that the user needs to access remotely. Secondly, this computer has to be included in a network where Remote Desktop interfacing is permissible. This particular end of the connection is called the host. The remote computer also has to be operating Windows 95 or a later version. It must also have the Remote Desktop connection software installed. The remote computer the end-user is utilizing is called the client. Finally, the two computers, both host and client, have to be connected on to the Internet via a VPN connection. If the user is not utilizing such a VPN, then he or she will be required to know the full IP address of the hosting computer in question. Once the previously mentioned prerequisites have been met, the user is ready to remotely access his or her host computer. First, the individual will have to connect his or her remote computer to the host computer. 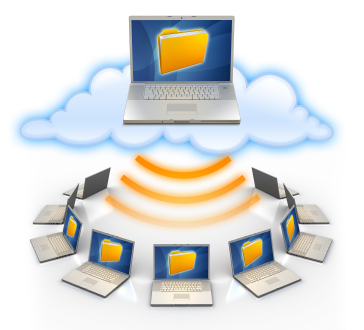 Setting up the Remote Desktop should begin with the hosting computer, which is where the person’s work is stored. The person will have to ensure that he or she is signed-on as administrator. Then, the user needs to click on the Start Menu, then the Control Panel, and finally the Performance and Maintenance option. Next the user will have to click on the Remote tab, and choose the Allow Users to Connect Remotely to This Computer box. Then select okay. Under Control Panel select Security Center. The user will see a Manage Security Settings For option, and must select the Windows Firewall option. Be certain to ensure that the Don’t Allow Exceptions box is not checked. Then select the Exceptions Tab, and confirm that Remote Desktop box is checked. Then click okay, and close up the Windows Security Center window. The hosting computer is then ready to permit remote access. The user must now either know the hosting computer’s name or IP address in order to access it remotely. The name can be found by going under the Control Panel, clicking on Performance and Maintenance, picking System, and finally selecting the Computer Name Tab. At this point, the user needs to record the entire computer name, and then select okay. Close down the Control Panel. This computer has to remain on, locked, and still be connected to the company network with Internet access for remote PC access to work properly. To connect the remote computer up to the hosting computer, the following steps should be performed. On the remote computer where the individual is presently located, he or she will have to click on the Start Menu, select the All Programs option, and pick the Accessories choice. Under Accessories, mouse over Communications, and next Remote Desktop Connection. A Computer Box will come up. Here the user types the full name of the hosting computer, which was recorded earlier. A Remote Desktop Connection box will come up. The user must select Connect. A Log On to Windows box will show up. Here the user types his or her name, domain, and password, before clicking Okay. A Remote Desktop window box will appear. Here the user will see the desktop files, settings, and programs which are present on the hosting computer, also known as the working computer. The hosting computer stays locked, so no one can access its features without having the password. This also means that no other individual will be capable of viewing the work which he or she is performing remotely. Ending the Remote Desktop session is easy. The user clicks on the Start menu, and then clicks Log Off at the Start Menu‘s bottom. When the user is prompted, he clicks on Log Off. The user’s hosting computer has now been disconnected from the remote client computer. Several companies also make Remote Desktop Access software and platforms. Among them is the number one rated RemoteDesktopAccess.org. The user is able to try this software out at no cost or risk for 30 days. It includes maximum security and encryption, and permits the user to access his or her desktop or laptop computer from any location where there is Internet connectivity. Another popular remote desktop access program is GoToMyPC. This is a simple, quick, and very secure method of remotely accessing the user’s PC or Macintosh computer in real time. The person can get to all of his or her programs, network, files, and email while on the go or from home. Productivity and versatility are both improved. GoToMyPC also offers a free trial period. It is recommended by C/Net Editor as an Editor’s Choice Review award recipient. LapTop Magazine says that GoToMyPC proves to be as rich in features and reliable as any such software comes. GoToMyPC points out that not only can their software be utilized for personal uses, but also for business uses. A work or home computer can not only be accessed from any place which possesses an Internet connection, but it can also be backed-up. Even the user’s iPad or iPhone will be able to access the desktop or laptop hosting computer. Business users can access, manage, and support either Blackberry phones, smart phones, PC’s, or Macintosh computers using their technology. Any of these devices may be backed up remotely to protect the information necessary to keep the person’s work or business running smoothly. The cost for this service is a reasonable $19.95 per month for a single hosting computer, or $29.95 for two hosting computers. Remote Desktop Access is a wonderful technology which helps businesses in providing efficient technical support, increased productivity, etc. Tools like R-HUB remote support servers, logmein, teamviewer etc. are used for remotely accessing computers.